At nearly 50, I hale from the “chin up and cheer up” generation. When I was a kid, feelings weren’t something to be discussed so much as dispatched with. Being good meant being happy – or at least acting happy. Flash forward to raising my own children. “Cheer up” is a hard habit to break. These are not easy-to-embrace emotions we’re talking about, especially if they roll out in the form of a four-year-old having a total conniption in the paint aisle at the Home Depot. And I’m speaking from experience here. But one of the ways I’ve been able to practice being a little more emotionally inclusive is through my work. It’s there that I’m able to see and express all the complicated stuff – even in the littlest of people – the stuff that maybe isn’t the easiest or most attractive but, in the end, is the realest, the most true. And isn’t that what we’re all aiming for in literature? That no matter how fantastical it gets – no matter how futuristic or dystopian, no matter how many talking animals or magicians or muggles – it feels, at its heart, true. 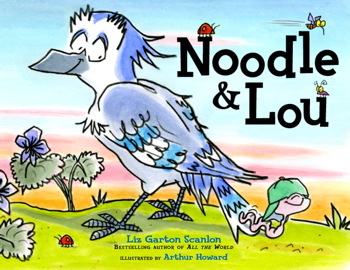 Recently, I had a student ask me if I thought she’d be better at writing funny picture books or tender ones – as if a single book couldn’t be both and as if, god forbid, there were no other options in between. What about books in which the main characters are sad or ashamed, what about when they’re wry or shy or just plain upset? 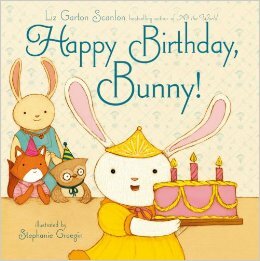 In my various picture books, I’ve created characters who are pissed off and rather petulant (The Good-Pie Party), way too self-deprecating (Noodle & Lou), a little bit timid and confused (Happy Birthday, Bunny!). The picture books I most love to read and learn from are equally mucky emotionally –Victoria Chang’s Is Mommy?, Deborah Underwood’s The Quiet Book, Audrey Vernick’s First Grade Dropout are all stellar examples. There’s no “chin up” mandate here – it’s come-as-you-are, or as the kids say these days, “you be you.” It sounds flip, but honestly, they use that phrase because that’s what they want us to say to them! And that authenticity they’re hoping for in real life? It seems like we ought to give it to them in books too. Ditto novels, by the way. This is not just a picture book experience. When I read reviews for middle grade and young adult novels, the phrase I’m always on the lookout for is “too easy” because that usually means it’s pat, easily resolved and not, at its heart, true. In my book The Great Good Summer, Ivy Green reckons with grief, worry and doubt, and she expresses herself with everything from sarcasm to selfishness, sweetness to rage. She’s twelve, and not everyone loves to see all of these things in a budding adolescent. But if I’m honest, they are some of the things I remember most about being twelve, and I’m not going to pretend for Ivy the way I pretended for me. Still, censorship’s not dead and there are lots of well-meaning people out there – mostly parents – who are so worried about exposing their children to things that are painful or scary or sensual or, well, just complicated, that they want books to cheer up or shut up. That makes this whole thing pretty inevitable, right? Who we are, as people, will be revealed, it just will. And I think part of my job as an author is to help with that revelation – carefully, consciously and responsibly. In that way I’m writing for the child I was, the children in my books if they were real, and all the other children – yours and my own – who are wholly real, imperfect, emotional, inspiring and deeply lovable. 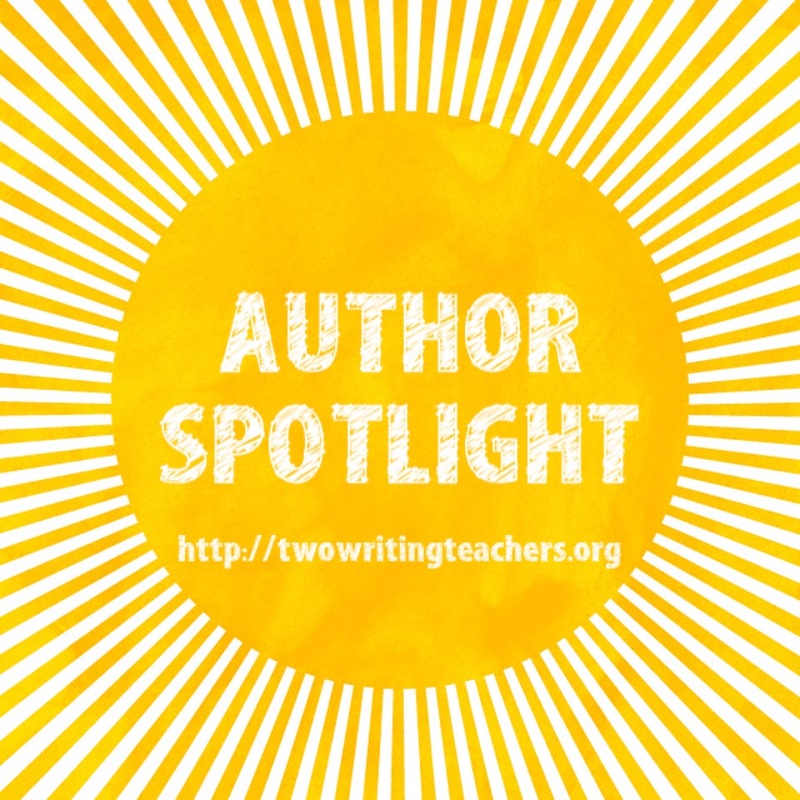 Liz Garton Scanlon is the author of numerous beloved books for young people including the Caldecott-honored All the World and her debut middle-grade novel, The Great Good Summer. 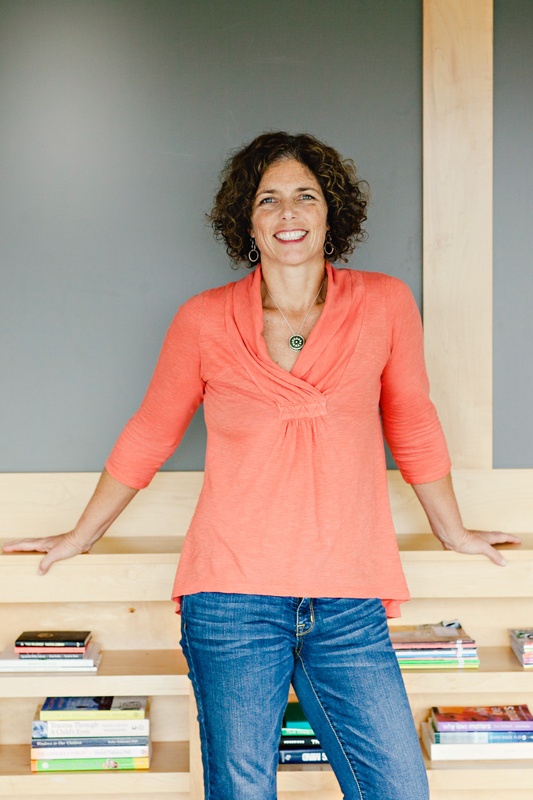 Liz lives in Austin, Texas, with her family, and is a frequent and popular presenter at schools, conferences, and literary festivals. This giveaway is for autographed copies of The Great Good Summer and In the Canyon. Many thanks to Beach Lane Books/Simon & Schuster for donating the copies of Liz’s books for four lucky winners (one book per winner). For a chance to win this copy of either of Liz’s books, please leave a comment about this post by Saturday, June 4th at 11:59 p.m. EDT. We’ll use a random number generator to pick the winners, whose names will be announced at the bottom of this post, by Monday, June 6th. If you are the winner one of the books, I will email you with the subject line of TWO WRITING — LIZ GARTON SCANLON. Please respond to my e-mail with your mailing address within five days of receipt. Unfortunately, a new winner will be chosen if a response isn’t received within five days of the giveaway announcement. Comments are now closed. Thank you to everyone who left a comment on this post. And thanks to Liz for responding to some of the reader comments! The following people’s commenter numbers came up when I used the random number generator (i.e., Mari Miyagi, Maureen Ingram, Meg Ouellette, and Vanessa W.) so they’ll win one of Liz’s books. Kids can, and do, share their emotions through book discussions. I totally agree with the need for honest emotions in a book – and for books to show the range that we feel. Loved this! So important for students to know they can be real and honest when expressing how they feel and that there are appropriate ways of expressing all of those emotions, and that we are there to support them through that process, validating them for the beautiful individuals that they are. I too worry that some of my students will only read happy stories. It is so important for students to reach outside of their comfort zone and read about how characters handle hard things. So much of my Writer’s Workshop is spent talking with my students about feelings in their writing. It’s the feelings that keep us invested in and connected to the books we are reading. Thank you for this post! I love these books and the emotions they show and let children know that everyone has them. Thank you Liz Garton – wonderful post. Authenticity-something kids will latch onto right away. And adults. I love how you have described your characters . . .
Great characteristics to refer to in the future! Being aware of your own emotions helps you know who you are and someone understanding your emotions helps you feel you are accepted. I think this is the biggest part of our lives and kids are even more sensitive to it, so we can emotionally embrace and protect them. With the books! I love this post. Thank you for sharing! This is wonderful…thanks for sharing these important thoughts…it’s not always don’t worry be happy! Just another note to thank you ALL for reading and commenting. I’m so glad this resonated! Good luck in the drawing! In the middle of reading “The Great Good Summer” right now and good grief! Does Ivy Green have great voice! Oh thanks so much — that means so much to me! I love the term you used “emotionally inclusive”. Our students need to know their feelings are valued-whatever they may be. Great post, Liz! I hear you, feel you, and agree with you! Great post and love your book All the World! I love books that are real. Thanks for including all the emotions. It’s how kids learn to recognize them. It’s like given them vocabulary. Love this post! And thanks for the chance to win autographed books! One of my favorite belief statements is “Feelings are neither right nor wrong. It’s what we DO about those feelings that can be right or wrong.” Denying, covering, and dismissing feelings is wrong. Great books show us ways that people face their feelings and work through them. Allowing kids to see that some ways of owning our feelings are healthier than others teaches them to live a full life and empowers them to embrace all that the circumstances that life has to offer as opportunities to learn and grow. This is a great post about expressing feelings. Love your books, Liz! As a mom of two, I definitely can relate to keeping issues like violence hidden from my children but I love the message in this book that all this does is create children that can’t rationalize, empathize and comprehend their feelings. I can’t wait to read this book! Reading books with kids that allow them to feel the emotions of the character, to show the rage, to feel indignant about what is happening, is amazing and powerful. Makes me reflect on consciously creating opportunities for students to do just that! So of course this post is amazing, like all of your books. I read it three times. I am a huge fan of reading things that make kids feel, react and rage a little. Books give us a place to figure out so much or at least be beautifully confused. Having your feelings validated is so important, at any age. Like you, I grew up in the generation of repressed feelings and spent a lifetime carrying that burden. Thank you for being the kind of author I really needed decades ago! Great post! Loved reading it! I saw Liz speak before AND loved hearing her process as a writer. I bought Noodle and Lou that day! Students can really connect to characters that work through the same real feelings they have. Creating characters who are real and flawed and wrestling with emotions is such a gift for readers- young and old. Thank you for that! As I read your piece, I kept thinking of Kate DiCamillo. I think she is another writer who also does this for kids. I love The Good Pie Party! This post cheered me up! I’m 59 and can relate to Liz’s comments about the chin up mentality. Love the message that she and her books are spreading about accepting yourself and your feelings. Yes, to mucky and emotional. The best stories are ones with truth, grit and heart. Love the saying “pat”.